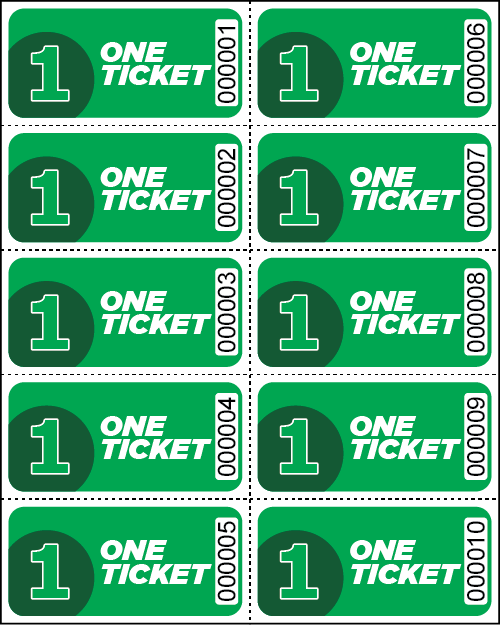 Great for general use at events for all food, beverages, rides, admission needs and more! 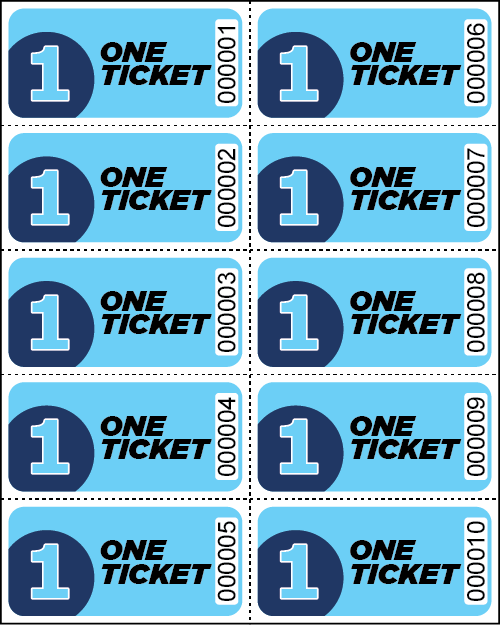 Tickets are printed in 4 vibrant colors and each ticket is individually & consecutively numbered. 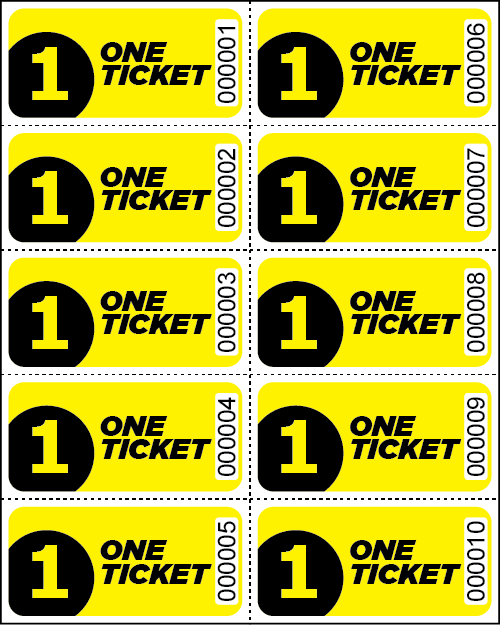 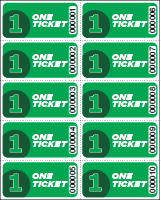 Each pack contains 100 sheets of 10 tickets per pack (1,000 total tickets). Click the drop down price menu box above for additional quantities and pricing.